Feasta’s activities are based around a number of themes, all of which are inter-connected. For a broad overview of the relationship between our different activities and our overall mission, please see our theory of change. Our 2018 Annual Report summarises our most recent activities. The Climate group has as many members in Britain as it has in Ireland with others around the world. It is currently one of the most active groups within Feasta. Its work in 2019 has three major strands. One of these is Cap and Share, a system for eliminating fossil fuel use over the next three decades while promoting social justice and equity. Cap and Share provides the framework for our CapGlobalCarbon initiative. This is a proposal for non-governmental actors to create a new global system to (a) make sure the necessary reductions in total global carbon emissions are achieved and (b) do so in a way that reduces inequality. The system would operate as a back-up to the inter-governmental negotiations. The campaign was launched at the COP-21 in 2015. The second, complementary strand is the Climate Litigation Campaign, which follows a similar strategy to the successful recent campaign by Urgenda in the Netherlands: taking legal action to ensure that fossil fuel extraction is capped. Feasta climate group members, in collaboration with a number of other organisations are working towards taking legal action against a fossil fuel company for wrongdoing in consequence of their past and present contribution to the already dangerous levels of greenhouse gases that have accumulated in the atmosphere and their plans for unrestrained production in the future. A third strand provides support for the anti-fracking movement. In recent years Feasta members in Britain and Ireland have been concerned to raise awareness of the implications of “extreme energy” – particularly the dangers of the oil and gas industry seeking to extract gas from shale by the use of high volume, high pressure hydraulic fracking. Fortunately it has been possible to draw on a growing volume of good quality scientific information – peer reviewed studies of the very negative public health, environmental and climate implications of developing unconventional gas fields drawn from the US experience and that of Australia. We are delighted at the 2017 fracking ban within Ireland (brought about with the support of some of our members) but remain highly concerned that fracked gas is till being imported into the country. Feasta and its members took a central part in helping to organise and participate in the so-called ‘Climate Conversations’ held during 2014-15. A number of organisations came together to organise this series of conversations and debates in various locations in Dublin. Feasta’s Willi Kiefel contributed significantly to the creation of the Conversations, the themes, structure and above all the insistence on making it as inclusive as possible. This seemed very effective and there was a good response, so much so that all partners expressed a wish to continue with the Conversations after the 2016 General Election in Ireland. You can read Willi’s impressions here. Feasta members have been involved with coordinating the People’s Energy Charter. PEC is calling for comprehensive public participation in the National Energy Transition Plan. We have been engaging with the national consultation for the white paper on energy which was published in December 2015: Irelands Transition to a Low Carbon Energy Future. There is no doubt that the policy aspires to greater public participation in the decisions about powering Ireland. We analysed the way the energy policy system operates in Ireland and highlighted many changes that need to be made in order to create an energy transition that should be acceptable by the people of the country. The bottom line is change can only be done by including communities in making the decisions – a key transition concept Feasta has endorsed for many years. The new energy policy for 2015-2030 is more of a framework for change with wider consultation intended on specific items. There will also be a national energy forum where stakeholders will get to have a say in Irelands energy transition. The need for dialogue and greater consultation were acknowledged. The Feasta Currency group believes that the fact that conventional money is issued as a debt means that economies have to grow continually if their money supply is not to contract and cause a financial breakdown. This continual growth is clearly unsustainable and so the group has been exploring ways in which money can be put into circulation without anyone needing to borrow it first. The group hosts a lively Facebook discussion group with 95 members from around the world. Its current interests include the development of innovative capital financing options for renewable energy projects with the goal of avoiding the burden of compound interest and redirecting the 45% saved into more productive first use; and the visualisation of data to add impactful insight to the flow of money in a specific sub-economy. Feasta’s Water Commoning Group was formed in late 2016 and aims to extend the debate about water policy in Ireland and to establish water commoning as something worthy of serious and critical consideration. You can read more about it here. In 2015 a group was established with the aim of developing alternatives to GDP as a measure of wellbeing, in collaboration with the FEST institute and Albert Weber institute. You can find out more about their initiative here. 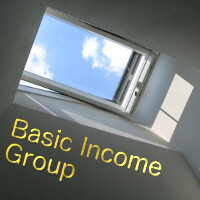 Many Feasta members are advocates for a basic income, and in 2018 a Basic Income Group was formed to explore the potential relationship between basic income, sustainability and social justice. More information on the group can be found here. The Risk-Resilience Network‘s focus is on how to protect our welfare given existing and coming constraints (e.g. food security, energy and governance). It investigates the relationship between the complexity (interdependence, speed of processes, concentration) and de-localisation of the globalised economy and our vulnerability to systemic shocks and chronic stresses. Reports include Catastrophic Shocks Through Complex Socio-Economic Systems:A Pandemic Perspective, which is based on a paper by David Korowicz that was commissioned by USAID and presented in Manila in January 2013. Earlier Feasta projects include Smart Taxes, which has the aim of developing policy options to reform fiscal and other financial and monetary mechanisms in Ireland so as to deliver environmental, social and economic sustainability, and Carbon Cycles and Sinks, whose goal is to develop policies which will enable the Irish land mass to become a carbon sink rather than a source of greenhouse emissions. Feasta member Féidhlim Harty, who has an environmental consultancy based in County Clare, produced a report for the IEN in December 2015 on closed-loop agriculture: farming practice that recycles all nutrients and organic material back to the soil that it grew in. Féidhlim argues that a shift to this type of agriculture would not only stop the waste of nutrients to watercourses as pollution, it would also stop the high energy inputs needed for artificial nitrogen production and could go a significant way towards reducing overall agricultural greenhouse gas emissions. Closed loop agriculture has direct benefits for biodiversity also, within the soil itself, in the aquatic environment, and within the context of climate change. In the years since its inception, Feasta has organised a wide range of events, including seminars, international conferences and workshops. You can read about these in more detail on our events section. You can also download videos of many of our lectures and seminars from our multimedia page. We have also published various books and briefings concerning the environment and economics. These are all available for free download from this website, as are a series of submissions we have made to the Irish and UK governments, the European Commission and the UNFCCC. Within Ireland Feasta also engages in the Irish Environmental Network (IEN) and the Environmental Pillar of Social Partnership. The Pillar is a structure whereby a range of national environmental NGOs cooperate together on policy issues according to their interests. 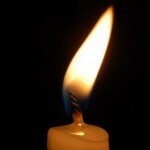 Feasta has been involved in the Environmental Pillar’s Climate and Energy Working Group.